This is a repeat of my interview with the lovely Julia Adams that originally appeared onRue Morgue Magazine's website. It's a little bit different, so please browse through it. The World 3-D Film Expo is in full swing, screening classic 3-D films from the fifties and onward. If you haven’t made it out yet, there are still plenty of horror titles to be seen, all in eye-popping 3-D. Classics like It Came From Outer Space and Revenge of the Creature, the lesser know Vincent Price film, The Mad Magician (only his second in the horror genre) and some camp favorites like Gorilla at Large and the outrageously strange Robot Monster. It’s all happening in Hollywood at Grauman’s Egyptian Theater and you can find out more about it at their website, 3-dfilmexpo.com. Special guest Q&A sessions at this 10 day event have really helped to highlight the rarity of these screenings, even if sometimes they don’t always go as planned. Although the announced stars of Jaws 3-D couldn’t make the show, the ruckus audience that turned out that night didn’t seem to mind their replacement guests; director Joe Alves, producer Rupert Hitzig and location manager Carl Mazzocone. But a true personal thrill was the presence of Julie Adams at the Creature from the Black Lagoon screening. I got a chance to talk with Ms. Adams and her son Mitch Dalton, about the film, 3-D and her autobiography, Lucky Southern Star: Reflections from the Black Lagoon that she co-authored with Mitch. 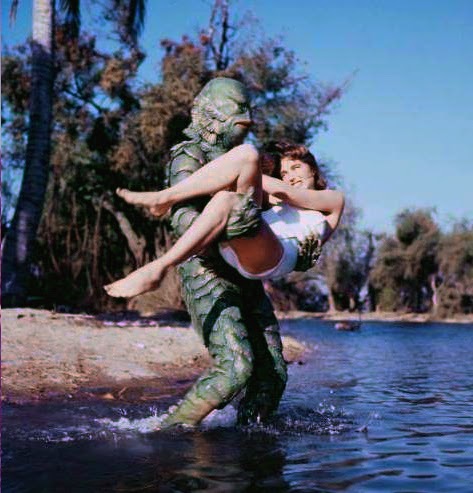 You’ve had a lengthy career that has spanned seven decades, but you’re still widely recognized for your role as Kay Lawrence in The Creature From The Black Lagoon. How does if feel to have “Scream Queen” status? Julia Adams: It feels very good. Twenty some years ago when I got [CFTBL], I had to scream, and I discovered that I had a pretty good scream. So I’ve done some screaming along the way. We make movies to entertain people and many people are entertained by scary movies. It is so amazing that this movie is still popular all these years later. It pleases me to have been a part of something people have enjoyed so much. CFTBL wasn’t the first 3-D film you were in. 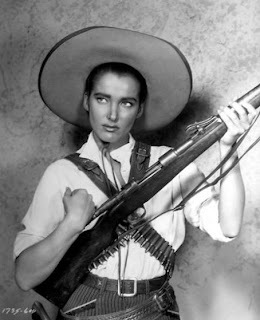 You played a Mexican guerilla in Wings of the Hawk, another film that will be screening at the Expo. Do you recall the first time you saw yourself in 3-D? JA: Oh yes, of course I can remember. I didn’t like it much. I though, ‘Oh gee, it all looks so weird’. It seemed to me to be that way. But it was all very successful, so who’s going to argue with a picture being successful. Did you enjoy working with the film’s director, Jack Arnold? JA: Jack Arnold was a very good director. He was helpful with the actors and he knew what he was doing all the time. So there were very little delays about this, that and the other. I know he was very good technically but he was fine with the actors too. We had rehearsal before the shooting of the movie and that was wonderful because we all got very accustomed to each other. I enjoyed working with him very much. How about working with your leading man, Richard Carlson? 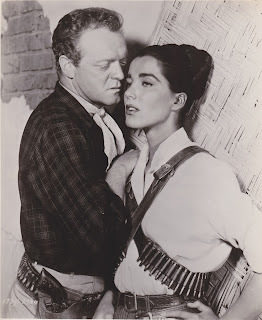 JA: Richard Carlson was an absolutely charming gentleman and also a very good screen actor. I enjoyed working with him very much. A really nice man, he had a good sense of humor and it was all very pleasant. And what about the star of the film, The Gill-man. What was it like to be carried off by that rubber suit? JA: It’s hard to describe what it was like. It was a unique experience; lets put it that way. Ben (Chapman) was a wonderful “strong” man, he was also extremely considerate, so I felt very safe being carried by Ben. But I understand there was an incident, while being carried by Ben. JA: The incident in the cave? [laughs] Well, yes. This was on the set of the interior of the cave. The cave was quite realistically done so that there were sharp points out of the wall of the cave as caves often have. So Ben was carrying me and of course he has the goggles on, so he really couldn’t see very well. So he’s carrying me, and I’m in his arms, and all of a sudden one of these points sticking out of the wall hit my head. Ben felt terrible about it and the studio made a whole big fuss about it. They called the doctor. They had a nurse and doctor on the lot, so they were called down and so the nurse was patching up the scrape on my head with bandages, they made a thing about it and publicity came down and took some shots. So it became a big number even though it was quite simple and non-life threatening, shall we say. Mitch Danton: The tank wasn’t heated that day, so that added to the drama. So when Ben and Julie went to get in the water it was freezing cold, so that added to her shivering and Ben not being able to see very well through his goggles when the fogged up when the cold water hit the warm set. I’m sure there were a few technical difficulties. Working with the 3-D camera, did that affect your performance at all? JA: Not really. I was playing my part, as I had in mind, and there was really not a lot [of difficulties], because they staged it well for the camera and I knew exactly where my marks were. You can’t ad-lib your movements when you’re shooting 3-D. We rehearsed it very well first. Then I played the scene within those marks that we had set. Technically it was not that difficult. Do you consider your role as Kay to be a strong female character? JA: Yes definitely. She was a scientist, and there were certain dangers in what she did, like when she was in the jungle. So I felt she was a very strong woman, who loved her work and wanted to do a good job in it. That’s my vision of her. She was very dedicated to her work. 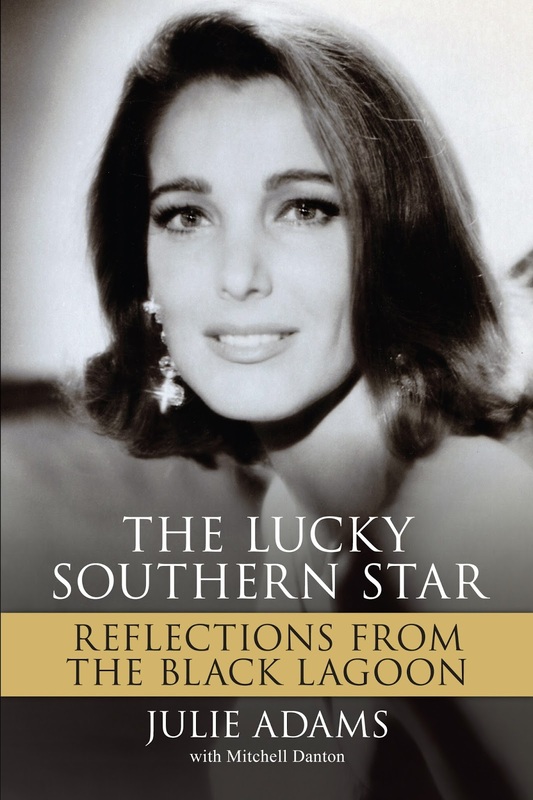 Your biography, The Lucky Southern Star: Reflections from the Black Lagoon was co-authored with your son. What was the experience of re-living your career with your son like? JA: I sat down and wrote a great many things in long hand and then my son Mitch and I, we worked on it together. Mitch did a great job, he’s a film editor and he also turned out to be a very good book editor. It was a pleasure working with my son, telling these stories and going back over them. He would ask me questions, or [question] where I made a mistake. And Mitch, what did you learn about your mother while writing the book? MD: What I really learned was just how dedicated she was to her craft and how she managed to navigate the ups and downs of an acting career. She kinda’ made a big splash with Creature and some of the other films at Universal and then contract ended in the late 50’s and television exploded and in the late fifties and sixties she did just about every [type of show]. When television slowed down for her she did theatre. I think the main thing people take away from the book is that she is so much more than just Creature from the Black Lagoon. I think that was one of our secret goals, to get people to watch some of her other movies. The festival is doing Wings of the Hawk, it doesn’t run a lot and I don’t think it’s run in Los Angeles in 3-D in years. Speaking of Wings of the Hawk. Are you looking forward to attending the screening on Friday? JA: Yes I am. I loved working on it too. It’s nice to be in an audience for a movie I enjoyed working on and have people enjoy it. They like to ask questions afterwards and I enjoy answering them and talking with them because what do we make these movies for? We make them for people to enjoy and so it’s a great pleasure to be present when they enjoy it. It’s been a busy six days at the World 3-D Film Expo so far, leaving very little time to write. If you’re in Los Angeles you have to get down to Gauman’s Egyptian Theater before Sunday night. There are still a lot of incredible films to screen. And the guests have been great. Producer, Walter Mirisch showed up to provide some insight into his low-budget venture The Maze. Director Joe Alves, producer Rupert Hitzig and location manager Carl Mazzocone substituted for the announced stars of Jaws 3-D (the crowd didn’t seem to mind a bit). Piper Laurie (Carrie) graced the theatre to talk about Dangerous Mission. Not only did Charlotte Austin-Antelline show up to provide insight into the making of Gorilla at Large (it’s exterior carnival sequences were shot in a mere 3 days) but genre collector and ape-actor extraordinaire, Bob Burns joined her, providing insight into George Barrows’ performance (he’s the man in the gorilla suit and you’ll get to see him again in Robot Monster). Kathleen Hughes was on hand to talk about Jack Arnold’s suspense drama The Glass Web (a real treat and a newly discovered favorite of mine). She’s coming back for the It Came From Outer Space screening on Friday and will be joined by Barbara Rush. 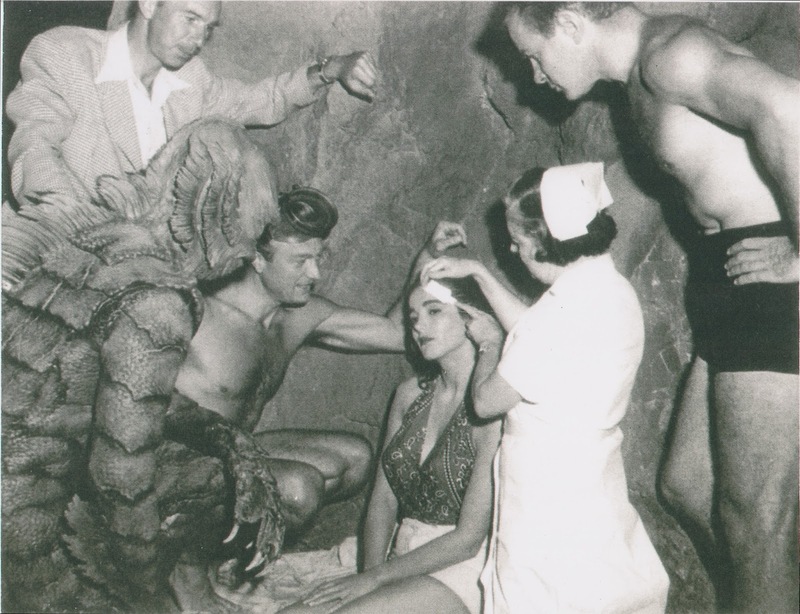 And my personal favorite was Julie Adams’ Q&A after The Creature From The Black Lagoon. I liked it so much I talked to her later in the week. 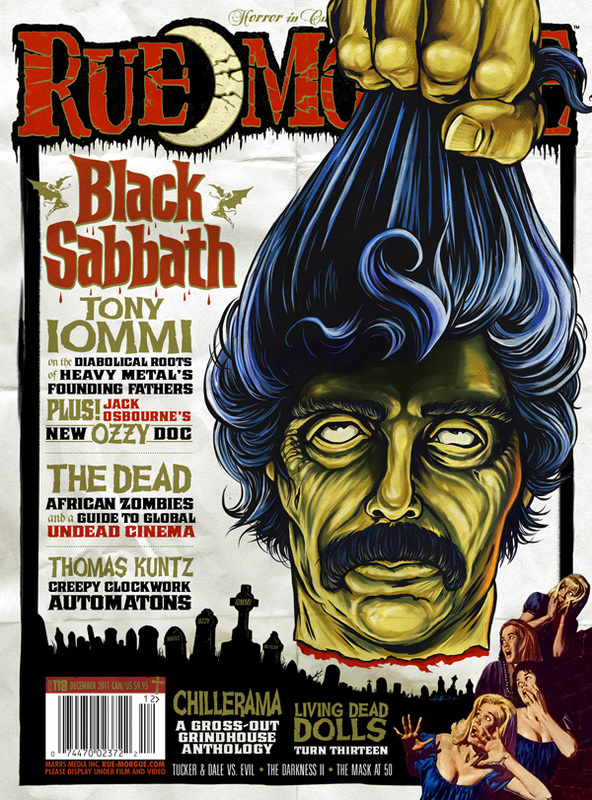 You can read that interview over at the Rue Morgue website HERE. She’s also coming back on Friday for the screening of Wings of the Hawk at 3:30. Get down there and she’ll sign her book, Lucky Southern Star: Reflections From The Black Lagoon. You can also find it on her website; www.julieadams.biz. Some of the stand-out presentations for my deranged mind have been finally seeing The Maze in three dimensions a fun little B pic that starts off slow, but really picks up after intermission in the last half. The animation collection was really incredible. It’s a rare delight to see Donald Duck, Woody Woodpecker, Casper the Friendly Ghost and Bug Bunny in 3-D, shorts I’ve seen before, but with the added dimensions they become all the more interesting and fun. But the real draw of the animation show was being able to see Norman McLaren’s animated films, produced for the Festival of Britian, in 3-D for the first time. These are films that I’ve sought out before. They were more impressive then I had expected them to be. The Stewardesses took on a new life at this screening as well. It’s hard to believe that the film took in $25 million when it was release and had people lined up the block. The story is virtually no-existent and while the 3-D effect is very good the cinematography is poor, yet by the time the film degenerates into horror film (saved for the last moments of the film) there is something captivating about the entire exercise. I’ll need to spend some more time with it. Back in 2003, when the first World 3-D Film Expo was announced, promising to screen over 30 classic 3-D films in their original dual projection format, I was chomping at the bit to go. But I was in the middle of production on a television series, low on funds and the trek from Toronto to L.A. was just more than I could take on. It happened again in 2006, and again I found myself in similar circumstances. The event was referred to as “a Woodstock for movie geeks” by Leonard Maltin and although I’ve missed the initial offerings, World 3-D Film Expo III, is set to begin September 6th in Hollywood at the Grauman’s Egyptian Theater. I’ve booked my flight so I guess I’ll have to settle for the “Lollapalooza for movie geeks”. While the offerings seem scaled down from previous years and I’ve had the opportunity to screen a number of the films in the last ten years, this year’s World 3-D Film Expo promises to be very exciting for film buffs and 3-D fanatics alike. They have a few firsts. The John Wayne classic, Hondo opens the festival, making its first 3-D presentation since an anaglyph television in the early eighties. And an early Russian 3-D film from the forties, Robinzon Kruzo (Robinson Crusoe) will play in America for the first time. I’m extremely excited to see the Richard Carlson vehicle The Maze in 3-D, a film I’ve come to think of as a thematically connecting bridge between the science and the horror to his other 3-D films, It Came From Outer Space and The Creature From The Black Lagoon. Carlson also teamed up with Ivan Tors to produce another sci-fi 3-D rarity, GOG. It's not playing this years festival. Other personal highlights promised by the festival is a chance to seen the film that kicked off the 3-D revolution of the 50’s, Arch Obler’s Bwana Devil, the first adaptation of a Mickey Spillane novel, I, the Jury and a theatrical screening of the 70’s soft-core film The Stewardesses. That film is closely tied to the depthsploitation asthetic here on this blog and also featured the work of Chris Condon and Dan Symmes, two 3-D pioneers that were my window into the stereoscopic world and have both sadly passed on. More information of the 3-D World Film Expo III can be had at their website, 3-dfilmexpo.com, and would it hurt to like them on facebook. I’ll be in L.A. for most of the Expo and posting highlights all week. If you’re in L.A. you owe it to yourself to get down to this even, and if you’re an nut for 3-D you might consider getting yourself down there for this event, lest you spend the next ten years, like I have, with a little regret. I never expected, or planned to take a hiatus from the blog, at least not as long as it's been. A few things have gotten in the way of my musings here. A rather large move that involved the sale and purchase of my family's home and a month long trip to Hong Kong. It's been a crazy year. But I did manage to pick -up a few 3-D Blu-ray titles in my travels that will get their day in court. Soon. There’s really little relevance to 3-D in this post, other that the trailer presents this re-imagining of The Empire Strikes Back as a 50’s 3-D film. Many of the clips used go back into the 40’s and even 30’s. In many ways this is less of a parody of the second film in the Star Wars series (oh yah, it’s now considered the 5th film in the franchise), and more of a look at what surely influenced Lucas when he dreamed up the original Star Wars concept. Either way it’s a fun little bit of nonsense. I guess I starting to slowly lose my 3-D religion. At least a bit. 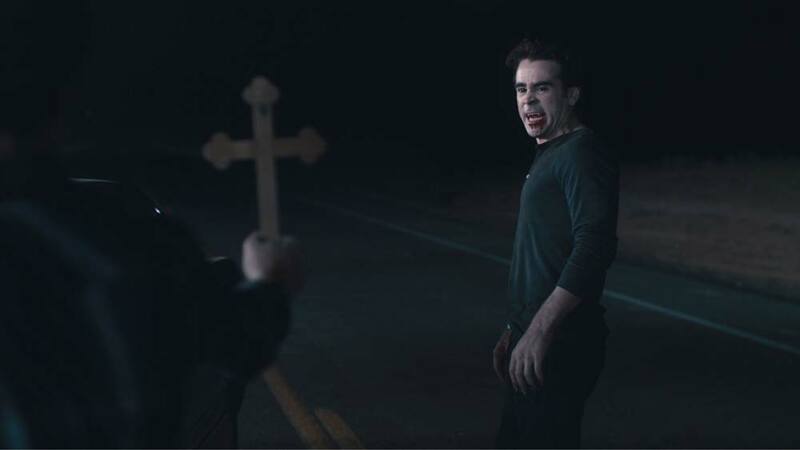 I had high hopes for Fright Night 3D when I watched it on Blu-ray 3D for my online Rue Morgue review. The 3-D in the film, although it was shot in native 3-D, was less than satisfying. And even more disheartening is I'm starting to find that the mega-budget blockbusters 3-D conversions are starting to look better that the films that are shot in 3-D. There are a lot of 3-D films out there that are a lot of fun in 3-D and 2-D, they just don't seem to be making too many of them in this century. This month's issue of Rue Morgue Magazine way over on pg 47 has a feature on The Mask, written by yours truly. It includes a few choice quotes from the film's late director, Julian Roffman's son. I have to admit I dig the cover. It is an awesome fusion of the poster art for Mario Bava's anthology film Black Sabbath, replacing Boris Karloff's image with Tony Iommi's, lead singer for the original metal band Black Sabbath. Where do you think they got their name from? It's on the stands now and available at Yudu.com and the Apple App Store, if you want to check it out.